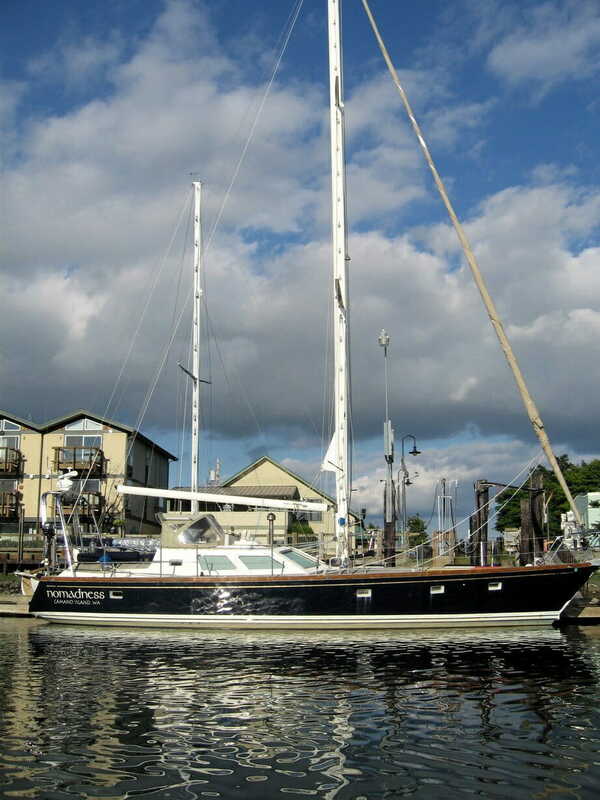 This Amazon 44 steel pilothouse cutter was my home and adventure platform for about 7 years. In this photo, she was moored in front of my lab in La Conner, where I lived before making the move to the San Juan Islands in 2012. The articles referenced below cover the various geeky projects based on this boat. 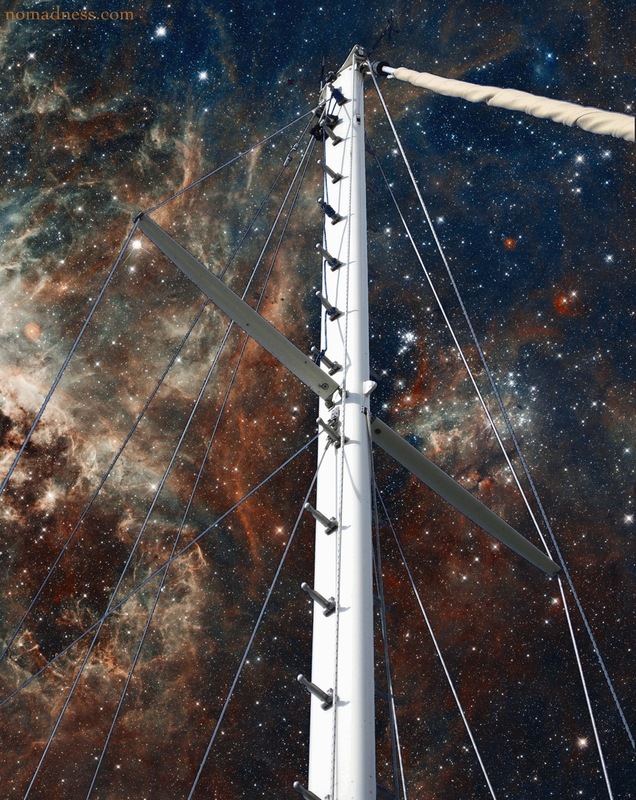 It began obviously, as Microship on Steroids — a Corsair 36 trimaran that scaled up my existing nautical substrate to something that would not involve "roughing it." I single-handed this rocket ship to Desolation Sound in the summer of 2006. But it was spartan and scary. A year later, after much research, I bought a gorgeous steel Amazon 44, teamed up with a new partner, and did some actual cruising (here is a track map from 2008). The to-do list became well-defined, and for the next 7 years I lived aboard while working on projects. Clicking above will take you to a detailed overview of the boat that I wrote when trying to sell her... the new owner, an engineer from the East Coast, sailed south to San Diego then trucked her across the US. One of the major changes was conversion of the dinette into a lab desk, with a detailed how-to article. Another post that has seen lots of traffic over the years describes installation of the Little Cod wood stove visible in the photo above... and there is one about fabricating the solar array. For six years I lived aboard and chipped away at projects, thinking of the "open-ended global voyaging" that lay ahead. 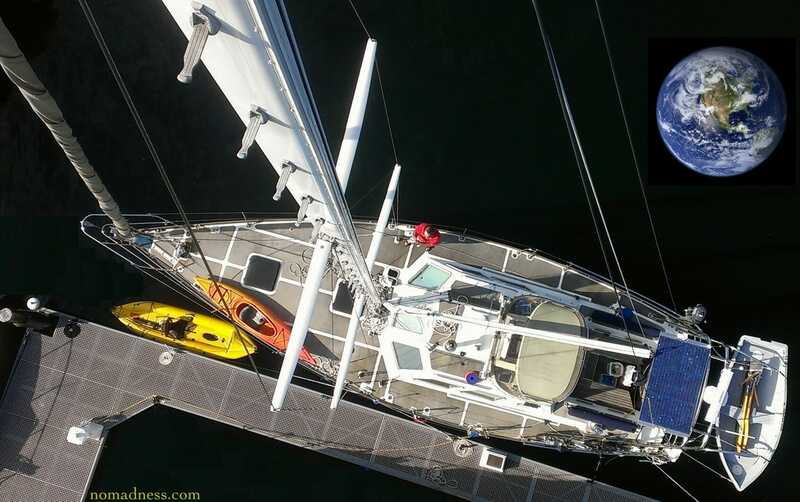 In 2012, I moved boat and lab to Friday Harbor, then sold her in 2016 and went to the Dark Side. 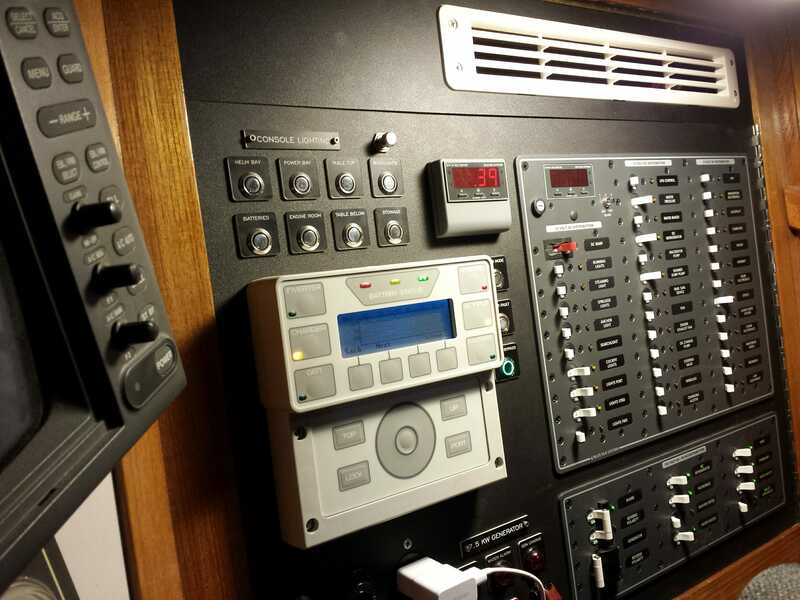 As a geek, I was acutely aware of the boat's ancient power management and distribution system... and since that is the infrastructure of all the gizmological tools, it was obvious that I had to do a serious upgrade. This included a new battery bank and Outback inverter/charger, along with a solar array and modern tools for dealing with that... but I was tormented by ancient and nigh-unserviceable AC and DC breaker panels. I finally decided to start from scratch, and used my Bridgeport to fabricate the new panel in the photo. This was populated with new Blue Sea Systems panels, the Outback controller, a homebrew Yanmar generator cluster, and controls for my custom electronics. My technomadic projects over the years have been supported by publishing... with nickels generated by subscription journals, eBooks, hardcopy design packages, magazine freelancing, and blogging with affiliate links. During the Nomadness project, I produced 22 issues of a magazine-style publication for subscribers. This is the compilation of 2011-2013 work, and is a 196-page PDF (96MB file). There are 2 free chapters linked from the page below, if you would like a preview of content. The book covers a wide range of boat projects.